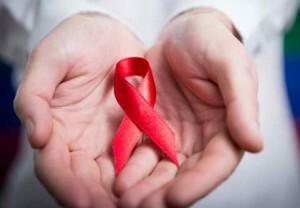 The reports on AIDS in the mass media play a very important role in AIDS prevention and control. Even though profound socioeconomic changes are underway in China, there are no alternatives to the primary newspapers until now. The reports on AIDS in these primary media outlets influence public opinion profoundly. The active research [Li Xiguang et al, Stratagem Research on AIDS Report in China, Proceeding of the Sociology and AIDS Prevention and Control in China, Beijing, 2003] shows that the news on AIDS is mainly reported around December 1st “World AIDS Day” in China. In this paper, the author addresses the following issues: what is the current situation of the AIDS/HIV report in the mainland China primary media? What is its trend? In which way can we improve it? Two methods were applied in this research: sample survey and case study. In the survey, the author chose some typical newspapers from more than 2000 newspapers in China. First the newspapers selected must be primary papers with a large circulation. Second they must represent the different geography of China for the study of AIDS/HIV. Based on these two standards, four newspapers were chosen: the People’s Daily, the largest daily newspaper in China; the Chinese Youth Daily, a comprehensive newspaper with a good reputation among the youth of China; the Southern Weekend, a famous newspaper renowned for its profound reports; and the Dahe daily, a comprehensive daily newspaper in inland Henan province which is of the second highest prevalence of AIDS/HIV in China. The researchers reviewed the AIDS/HIV reports on the first two newspapers between November 16 and December 15 in each year from 1988 to 2005. The similar survey on the Dahe Daily was from 1997 to 2005. The survey on the Southern Weekend was from 1990 to 2005 on each issue. The case studies focused on two AIDS/HIV related events reporting in these newspapers. One of them studied the reports relating to the event of the HIV needle-stick rumors in Tianjin in 2001. The other studied the reports referring to the marriage of a HIV positive female in Beijing in November 2002. In conclusion, since the first World AIDS Day started in 1988, mainland Chinese primary media gradually increased coverage of the AIDS issue, and the distribution of the number of pages tends to be reasonable after 2001. More reported contents are from a macroscopic view instead of a microscopic view. However, there are rare dynamic reports, and the news is mostly accumulated from the official issuers. In addition, the leader’s speech reports, which are very important in discussing the AIDS issues in China, are far from enough. Although the misguidance in the primary media is decreasing, this paper calls for the government to pay more attention to the reports on AIDS issues and the media to have more profound feature reports from first-hand sources in the future. This entry was posted in Social and tagged AIDS, Chinese, HIV on 05/02/2018 by Mary.